On the urgency of conservation on Guadalupe Island, Mexico: is it a lost paradise? Guadalupe is an oceanic island located in the Pacific Ocean off Mexico's northwest coast. Its flora is composed of many plant species with more northern affinities and disjunctions from the California Floristic Province. Almost 16% of the native plant species are endemic, including two monospecific genera. However, the activities of feral goats released in the early 19th century have devastated most of the island. At present, at least 26 native plant species have disappeared from Guadalupe and many more seem to be on the threshold. To add to the problem, 61 exotic plant species have been documented on the island, many of which are aggressive weeds. In this paper, we propose eight types of environmental conditions for the island where different species assemblages of the pristine flora probably existed before their demise. It is of obvious urgency that the island needs a recovery plan and the first step should include the eradication of the feral goats. Only after this process can subsequent conservation measures be applied to ensure any restoration of this natural heritage. The recovery plan will need to address both spontaneous and human-induced plant repopulation processes from the main island's three southern islets, which have never been impacted by goats. 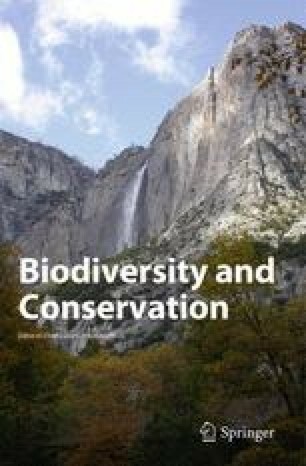 Also, it may be necessary to reintroduce non-endemic, native plant taxa from the nearest Californian islands and the Mexican coast in order to reestablish some of the island's original diversity of plant species and communities. However, it should be noted that the forested communities do not have great hopes of recovering in the short term, since the ground water and soil conditions have been significantly altered. Furthermore, the eradication of an estimated 4000 goats still living on the island (year 2000) depends upon the vacillating motivation and will of Mexican authorities.